After completing her listening program...I have such a profoundly improved kinesthetic awareness of my body, which is a key factor in producing a pure, free and natural sound. I have always had a natural instrument; however, there was something disconnected keeping me from finding my True Voice. My name is Laurie Shelton and I’d be happy to share with you a bit of my vocal history, my summer at the Listening Centre, and the immense changes and discoveries I continue to enjoy. I have always wanted to sing, to be a singer. I am not dyslexic, although in the area of singing I certainly felt vocally dyslexic…. 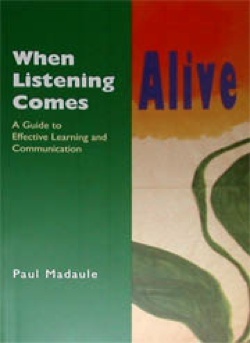 I had been recommended The Listening Centre, while attending Theatre School at Humber College, by a good friend and teacher of mine… I was having problems tuning my ear to my voice… Now I feel more confident and I listen to my voice. It feels like a brand new voice, and I can easily use it to my advantage. My journey to the Listening Centre has been a long one. A professional singer, I did not come upon the work of Alfred Tomatis until I was 41 years old… The Listening Training reorganized my physical movements… I began to perceive what it was that I was missing… My singing voice is now closely allied with my speaking voice, necessarily a more resonant/deep sound …The Listening Training has been the “key” which has enabled me to grow both professionally and personally.